A year and a half after Al and I celebrated our five-year wedding anniversary in Rocky Mountain National Park, I found myself once again suffering from altitude sickness. No wait. We were living in a Chicago suburb with a mere altitude of about 600 feet. 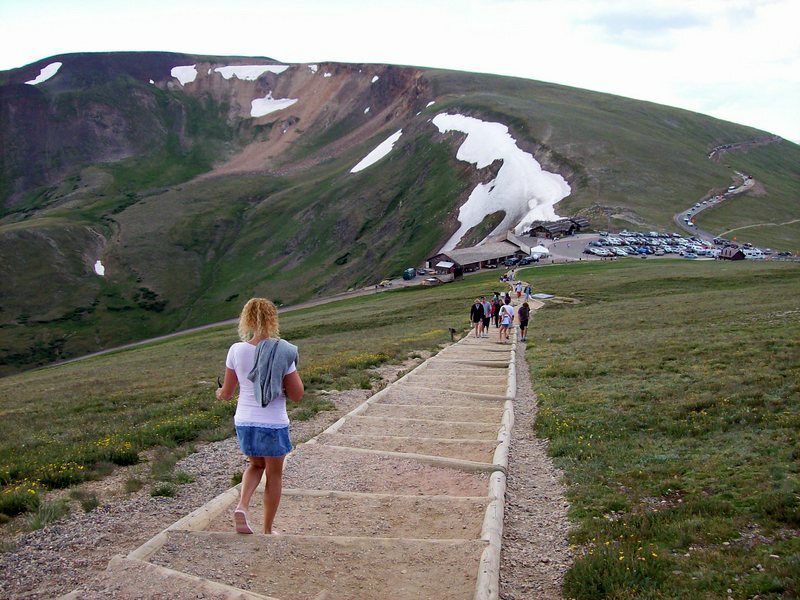 Oops, that time my dizziness and nausea was not due to the altitude, but due to pregnancy; planned and wanted, I might add. And what a beautiful baby she was! When my daughter was three, we moved cross-country to Las Vegas, Nevada. It was during this drive west, we stopped at a scenic overlook in Colorado. Numerous tunnels are met when traversing Interstate 70. The longest and most known is the Eisenhower Tunnel at Loveland Pass, elevation 11,990. When traveling westbound on I-70, the moment you exit the Eisenhower Tunnel, you are greeted with the most spectacular “Colorado” mountain scene, and it only gets better. After the tunnel but prior to the Frisco exit is a scenic overlook….overlooking Dillion Reservoir and the Continental Divide. This scenic overlook is a MUST stop when traveling westbound (not eastbound). It was at this point, daughter informed us, “I move to mountains when I big girl”. At the age of three, she was so taken by the view that it left an indelible impression upon her. And move she did! 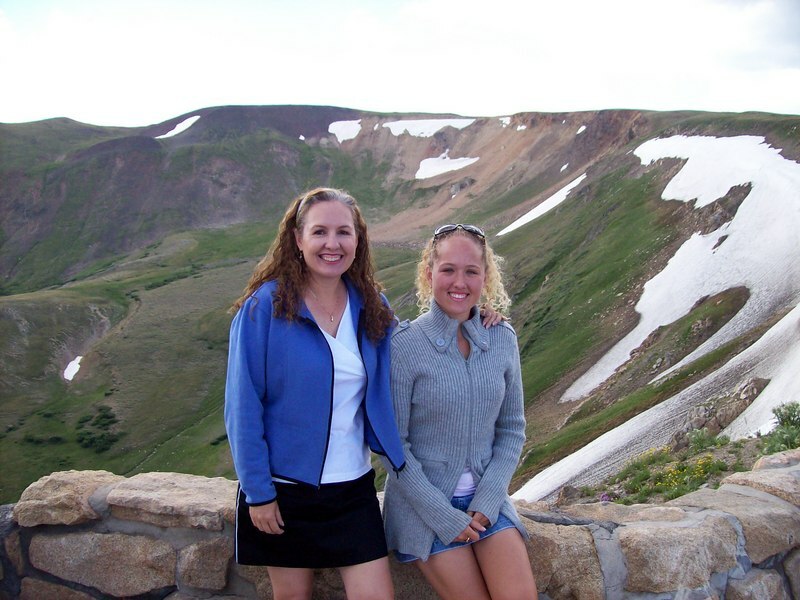 When she was eight years old, we moved to Colorado Springs. This move made daughter very, very happy, even though she was leaving friends behind. Daughter loves living in Colorado. Over the years, she and I have been known to hop in the vehicle and explore our local Colorado attractions. 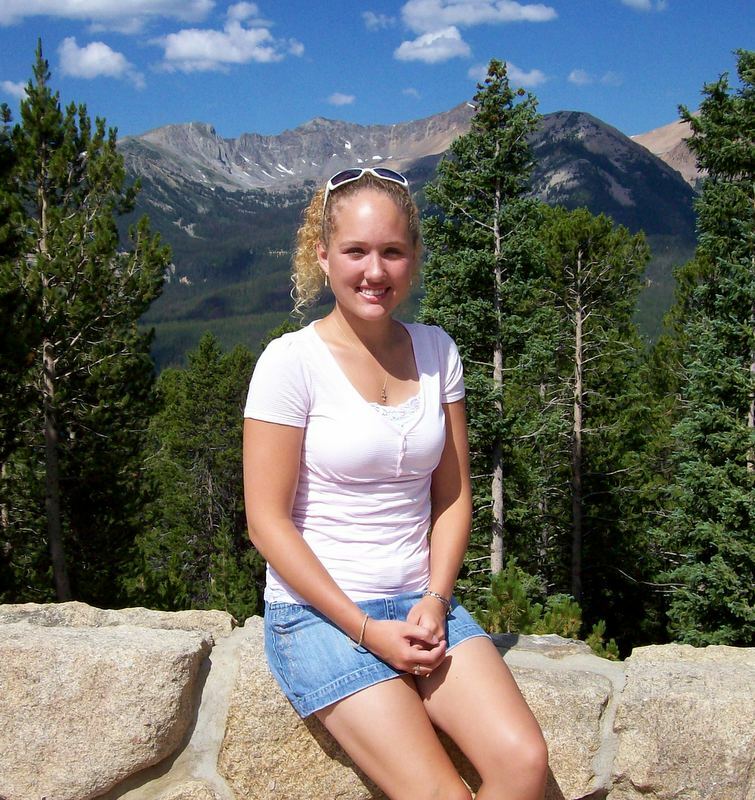 Mid July a few years ago, she and I visited Rocky Mountain National Park. We chose to go ‘the back way’. We took I-70 west, headed north on Hwy 40, and spent the night in Winter Park. From Winter Park we continued north on Hwy 40 to Granby. At Granby we headed northeast on Hwy 34 toward Rocky Mountain National Park. A stop in the small town of Grand Lake, just before the park, is a must. 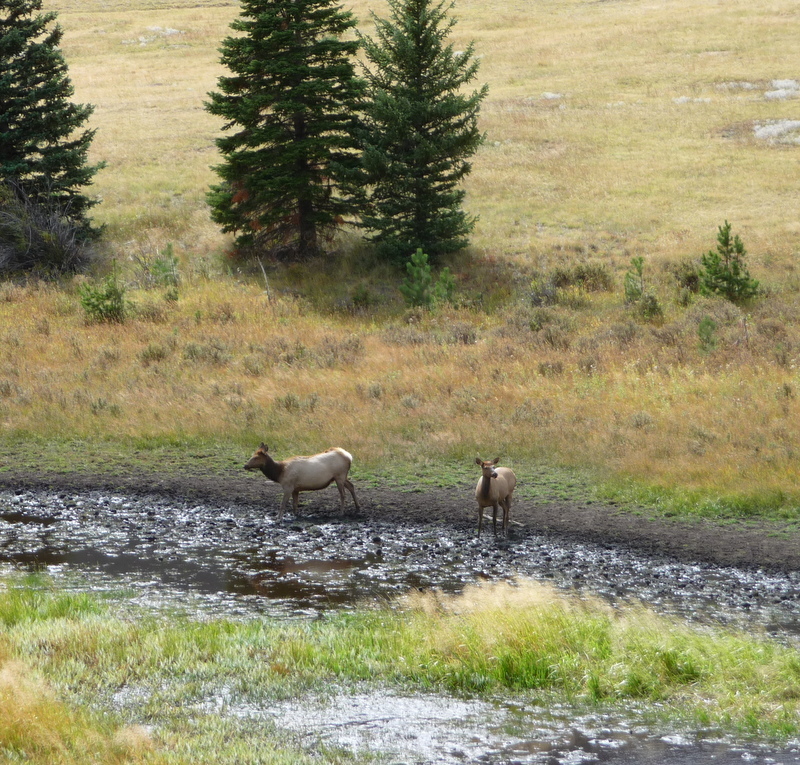 Rocky Mountain National Park was established in 1915 and encompasses approximately 415 square miles. The Park is home to more than 60 mountains exceeding 12,000 feet in elevation. Rocky Mountain National Park is known for its majestic mountain peaks, dense forests, rushing mountain waters, delicate mountain flowers, clear lakes, and plenty of wildlife. Daughter and I continued driving on Hwy 34 which turns into Trail Ridge Road. 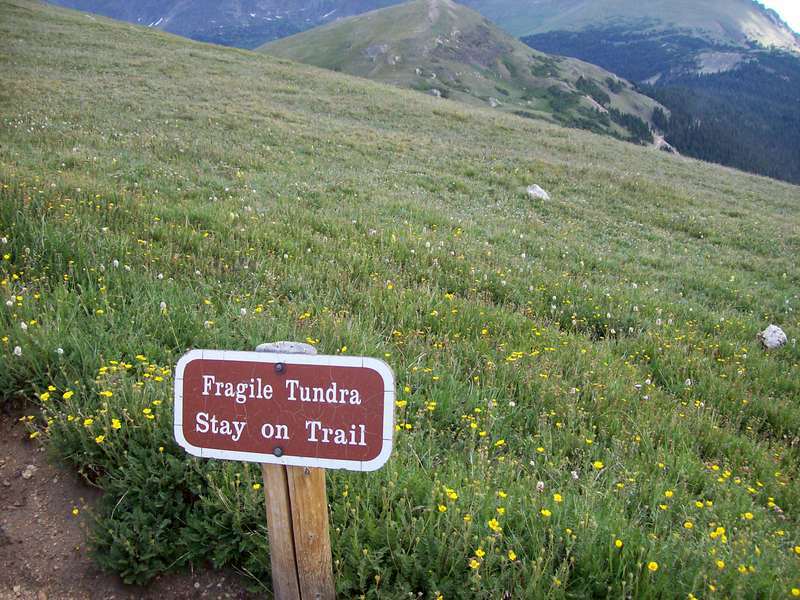 Trail Ridge Road is one of America’s top ten byways. As you travel and gain in elevation, the landscape changes from trees and meadows to alpine tundra. Although the tundra is too harsh for trees and appears barren at first glance, the tundra is abundant with an array of delicate vegetation. Although Daughter and I were glad we did the short hike, similar scenes can be eyed from easier viewpoints. 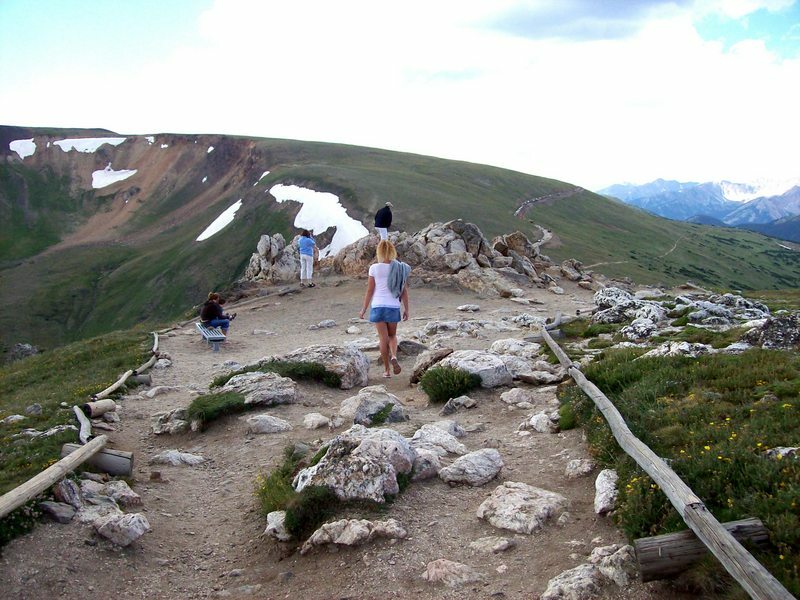 Be sure and keep a sweatshirt or jacket handy during your explorations at Rocky Mountain National Park. Weather can and will change swiftly. Sunny, summer mornings are often frequented by formidable afternoon storms, complete with high winds and lightning. So be sure and keep an eye on the sky for severe weather. If you start your day early, you’ll have a better chance of seeing wildlife and do more activities prior to the storms rolling in in the afternoon….hike early and be off the trails before lightning strikes. Happy Travels! Love Colorado scenery. Hope you get some rain for the fires. We haven’t been to Colorado yet – whee! Colorado is a must. I’ll try and post some boondocking spots as hubby and I get out and explore. Thanks. Hope temps cool and fires put out soon! Great story Ingrid! 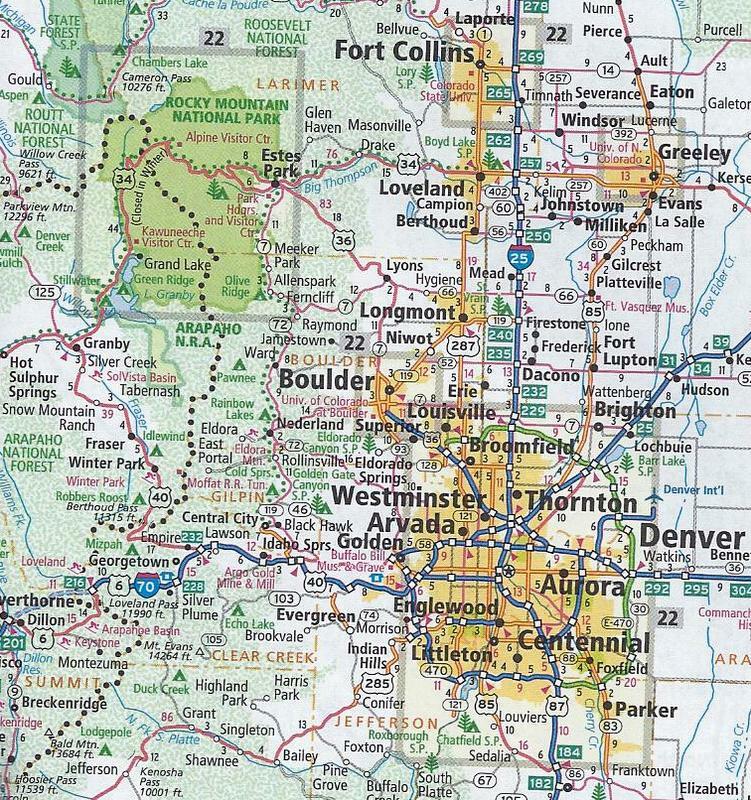 Love hearing about your Colorado Connection! Great Post – loving your photos! Have a Great Day! We get that alot, which is a compliment to me, considering I’m “quite” a bit older. Thanks for stopping.